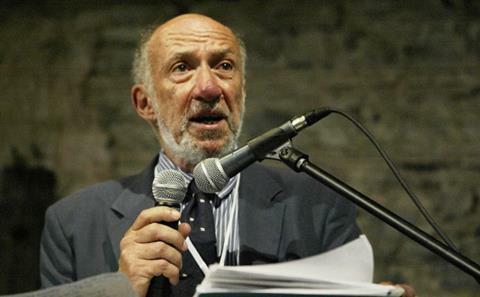 Professor Richard Falk will be delivering a lecture titled ‘Severe State Crime and Double Standards’ at King's College London (King's) on Monday 11th November 2013 at 6.30pm. ISCI's 4th Annual Lecture will be delivered by Ahdaf Soueif, Egyptian novelist, and political and cultural commentator, at King's on Wednesday 20th November 2013 at 6pm. The lecture will be titled 'The Ongoing Revolution' in Egypt, specifically discussing criminality and law-abidingness in the context of the Egyptian revolution. Both events are free and all are welcome to attend. Registration is essential. Please register for Professor Falk's lecture here and Ahdaf Soueif's lecture here. Complicity: Belgium colludes with the torture of its own citizens. On the 17th June 2013, ISCI held a film viewing and panel discussion of 'Ali Aarrass pour l’exemple', the story of a Belgian dual national extradited from Spain to Morocco where he was tortured and sentenced to fifteen years in prison at a mockery of a trial; and the documentary 'Extradition' about the plight of Babar Ahmad and Talha Ahsan, extradited in 2012 to a US supermax prison in Connecticut. The panel included: Victoria Brittain (former associate foreign editor of The Guardian Newspaper), Farida Aarrass (sister of Ali Aarrass), Luk Vervaet (initiator of Free Ali campaign), Hamja Ahsan (brother of Talha Ahsan), and Arun Kundnani (author). To view the event, click here. 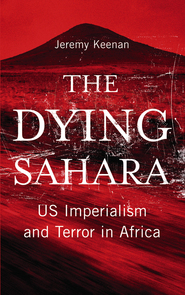 On the 23rd April 2013 ISCI, Pluto Press and SOAS launched Professor Keenan's 'The Dying Sahara: Imperialism and Terror in Africa' at SOAS. The launch included a conversation with ISCI's Professor Penny Green about Keenan's new book, which reveals how the US and its new combatant African command (AFRICOM) have created instability in a region the size of western Europe. On 16th May 2013 ISCI hosted the UK premiere of the new documentary by Valerie Kaur of Yale Visual Law entitled 'The Worst of the Worst', a portrait of Northern Correctional Institution, a US supermax prison in Connecticut to which British citizens Babar Ahmed and Talha Ahsan were extradited in 2012. The event included Caroline Lucas MP, Tessa Murphy (Amnesty International), Hamja Ahsan, brother of Talha Ahsan, and special guests from America, James Ridgeway and Jean Casella (solitarywatch.com). Richard is Albert G. Milbank Professor of International Law and Practice Emeritus at Princeton University and a Research Professor at the Orfalea Center for Global and International Studies at the University of California, Santa Barbara (UCSB). Since 2008 Richard has been Special Rapporteur on Occupied Palestine for the UN Human Rights Council and previously served on a Human Rights Inquiry Commission for the Palestinian Territories, appointed by the United Nations (2001) and on the Independent International Commission on Kosovo (1999-2000). Alicia was recently awarded the 2013 Arthur C. Helton Fellowship by the American Society of International Law, which will allow her to extend ISCI's research agenda in Burma. Alicia will travel to northern Burma's Kachin state in November 2013. 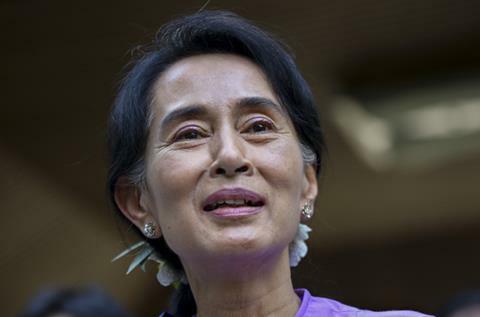 Alicia plans to explore local resistance to human rights violations committed by the Burmese military regime within the context of the internal armed conflict between the Burmese Army and the Kachin Independence Army. As part of ISCI's ESRC funded research ‘Resisting State Crime: A Comparative Study of Civil Society’ (RES-062-23-3144), ISCI research fellows are undertaking field work in Kenya and Colombia. Fieldwork in Burma, Papua New Guinea and Tunisia have now been completed. One of the central aims of the study is to understand the role of civil society in defining and censuring criminal, illegal or corrupt behaviour by the state. It aims to chronicle the life histories of five domestic civil society organisations before, during and after civil conflict. Dr Ian Patel and former Intern Sajid Suleman discuss the fraught relations between the UK Government and the European Convention on Human Rights 60 years on, in the Huffington Post UK. Dr. Kristian Lasslett exposes Australian complicity in Indonesian state terror in Al-Jazeera. PhD visiting student Renata Meirelles argues that Brazil's legacy of its dictatorship remains, following the violent repression of public protest, in an ISCI feature piece. Prof. Jeremy Keenan's explosive report 'A New Phase in the War on Terror?' focuses on the In Amenas terrotist attack in the Algerian Sahara, before turning to the situation in Mali. Professor Keenan especially highlights the links between Algeria’s secret police, the DRS (Département du Renseignement et de la Sécurité) and the Islamist terrorists who had taken over northern Mali and who have been blamed for the In Amenas attack. Volume 2.2. is one of the most exciting issues of State Crime to date. Phil Marfleet delves into the political economy of the Egyptian state, in a bid to explain the corrupt nexus at the heart of Egypt’s power structure. Nour Sacranie explores artistic resistance in Syria, focusing on a popular Youtube series Top Goon: The Diaries of a Little Dictator. Sacranie offers a thrilling theoretical examination of cultural resistance in Syria. Bill Rolston’s article, the first in a duet on murals (continued in State Crime 3.1, released in 2014), examines murals in Northern Ireland’s Long Kesh prison, examining how they became instruments for establishing liberated zones, in a hostile prison environment, where resistance could be built and expressed. 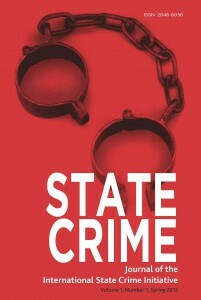 Katherine Williams looks at the failure of international criminal justice to punish and deter state criminals, and offers a powerful way forward using Duff’s expressive theory of punishment. Renata Meirelles is a PhD student at the University of São Paulo. She recently joined ISCI as a visiting PhD student at King’s College London. Her PhD research focuses on Amnesty International's work in Brazil towards political prisoners during the Brazilian military regime (1964-85). Fatima Kanji recently completed an MA in War Studies at King's. 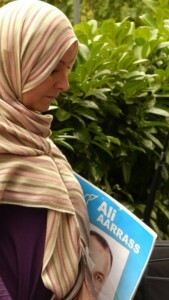 She has previously worked as a defence Intern at the UN-ICTY in The Hague and written for The Independent. She has developed a particular interest in western involvement in state crime. Mel Davidson recently completed her LLM at King's with a public international law focus. During her undergraduate studies and through placements at solicitors' firms, Mel developed an interest in asylum and immigration policy, forced displacement, international human rights and state crime in times of war. Orlando Goodall studied Political Theory at UCL and Politics and International Relations at Kingston University. He hopes to progress onto a PhD in the area of British state/corporate deviance. In his spare time, Orlando likes to play Basketball and Aerobie. Christabel Morris holds a Psychology degree from Sussex University. She completed an Internship with VSO in Nigeria and is now supporting ISCI research on state criminality in Myanmar. She is interested in international development and human rights.